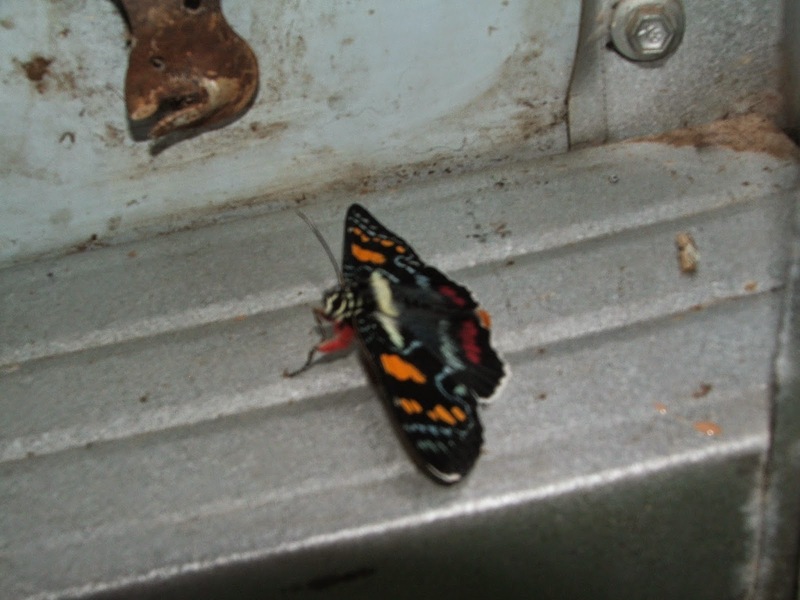 We had a visitor to the laundry this week; a beautiful Joseph’s coat moth. 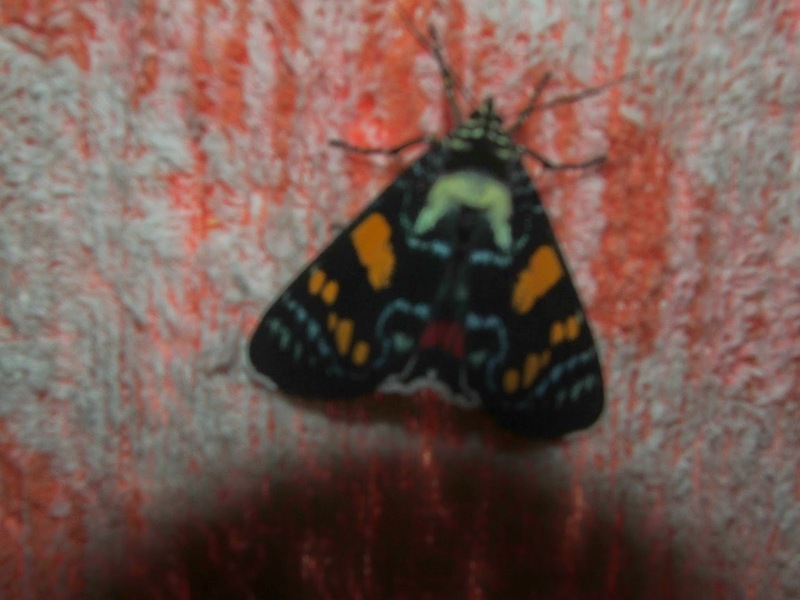 The flash of fluttering colour caught my eye as I was getting ready to have a shower and I saw that it was a very pretty moth. After taking a few photos, I let her (or him) go outside. Apparently these pretty little moths only lay eggs on plants from the grape family, so I hope he or she finds some. I love to see these colourful insects around the humpy, not only do they lend an air of festivity to the place, they also assure me that the ecosystem is still essentially healthy as biodiversity = stability. 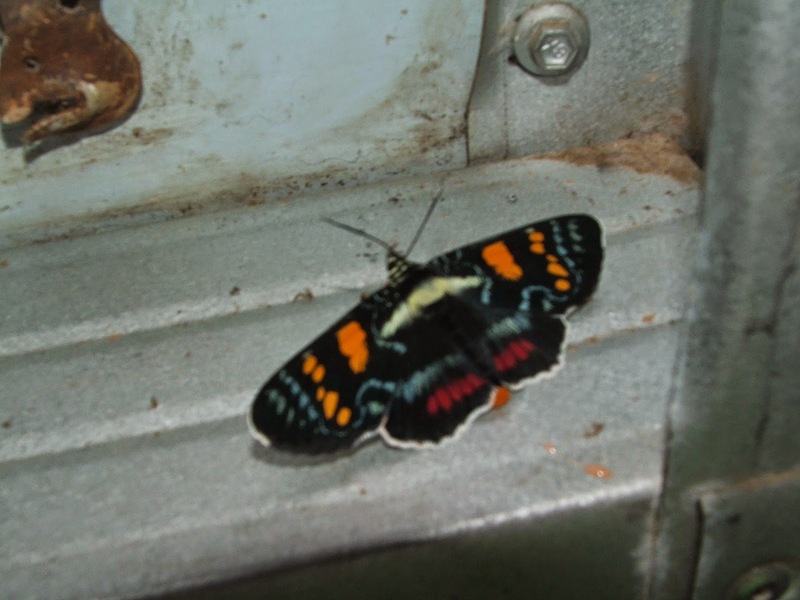 Have you seen the Joseph’s coat moth at your place?